Outside of PvP, the faction you choose won’t matter too much. The only thing it will affect is your starting zone but that’s it. Player’s will still able to locate their friends and buddy up with them in order to complete quests and explore the world. We suggest selecting whatever race you want to be. True, races do have their certain skills that are easier than others for instance Redguards gain skill in single handed weapons faster than two-handed. If you just want to play the game and have fun then this isn’t massively important to remember, if you want to maximise your character potential and time spent gaining skills then it is something worth thinking about. Classes give you a rough archetype of what your character will become once created. Classes give you three specialisations that you can focus on. The four classes you can choose from fall into your classic MMO roles with some variation. For example Dragon Knights can either be played as a tank or a melee DPS. A Templar however can be melee DPS, a healer or a tank. Specialisations are a great way for you to refine your play style once you have selected your class. Skills are at the very core of Elder Scrolls Online, these will affect everything such as crafting, lockpicking, stealth, combat and armour. You gain expertise in each skill the more you use them. Racial benefits can also be used to speed up some skills. The skills system lets you tailor your character to your playstyle. This gives you all the freedom you could ever need in your character building, want to be a tank who uses staffs or a Nightblade who uses a two handed greathammer? There is no stopping you as the skill system is so flexible. Now that you have created your character we suggest pressing the V key as soon as you have spawned in. This will toggle the camera from first person view to third person view. We found playing the game easier in 3rd person view as a lot of attacks are based on placement and how far away you are from the enemy. At this point we would suggest that you activate both your Frames per second and Latency meters. These can be found in the in-game options. These will help you tweak your settings if your FPS is too low. Now that you have completed the tutorial section, the world in the Elder Scrolls Online can be quite daunting. Follow these simple steps and you’ll be an Elder Scrolls online natural in no time. Possibly the easiest and most obvious thing to do in The Elder Scrolls Online. Questlines will help you explore the world and will give you a full introduction to each of the game’s zones, places and themes. You should only start worrying about professions until you have got to your first big town. If you know exactly what profession to take on then you are free to go ahead, but if you are unsure you can always leave this for a bit and catch up later. Books are scattered across the whole Elder Scrolls Online world. Some books offer skill ups, so we suggest reading and using books as often as possible. When you get to your first big town you will see your player housing info. We suggest ignoring this for the time being as it will cost more in game money than you can spend. Just focus on adventuring first. Wayshrines serve two purposes, they are used as a respawn point when you die (unless you have a filled Soul Gem). Wayshrines also let you teleport around the world for a nominal cost. So make sure you activate wayshrines to get the most out of fast travel. We suggest joining guilds such as The Fighters Guild or The Mages Guild. Not only do these offer unique quests and rewards, they also may offer you unique skills for you to unlock. When you eventually start a profession, make sure you complete your certifications as these will unlock daily quests for your profession. Certifications also give you an introduction to crafting which will become essential. Mounts are relatively easy to obtain, you will just need to do a bit of saving before you can get one. We also suggest visiting stable masters for daily quests. These will help you increase your riding skill increasing how much you can carry, how fast you go amongst other things. Your bank is essential but finite. You will be picking up a lot of stuff on your travels so your bank is a great place to store your wares. Be warned, this can run out of space quite quickly so inventory management is advised. These are turned off by default and can be toggled in the on-game settings. So if you would prefer to see how much health your enemy has, or what the name of your new friend is then you can turn these on. Circles of lightening in the sky signify Dark Anchors. These are co-operative events that spawn around the map where the force of Molag Bal try to anchor on the world to pull it into Coldharbour. 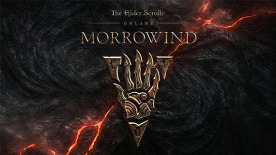 Once you reach these destinations you will be take part in a co-op event where battle some daedra. You get some great rewards for completing these events. We hope these tips will help you find your feet in The Elder Scrolls Online.